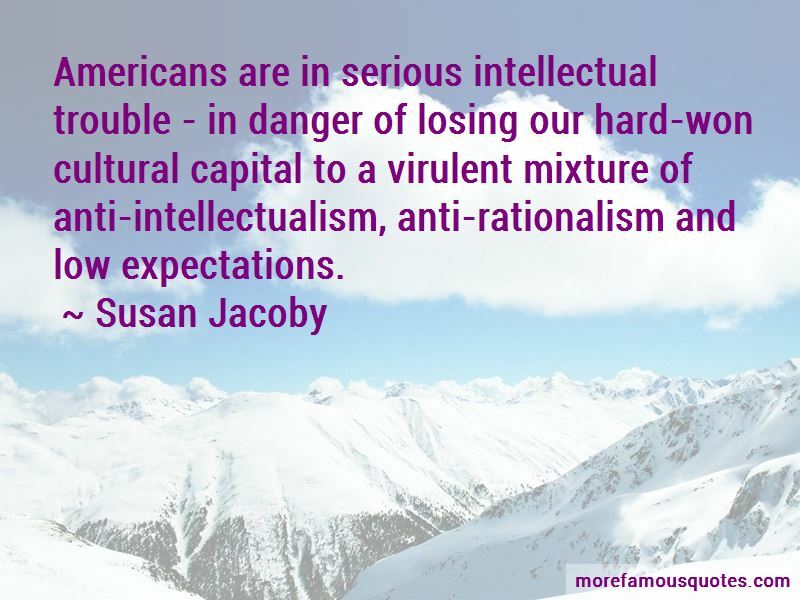 Enjoy the top 48 famous quotes, sayings and quotations by Susan Jacoby. Real-life discussions involve a great many bores and boors who have never learned that the art of conversation demands listening as well as talking. It is easy to forget, since the Catholic Church is now the only large American religious denomination whose ecclesiastical hierarchy continues to oppose birth control, that only a century ago the leaders of nearly all churches were united in their resistance to any public discussion of the subject. More than half of Americans have changed religions at least once in their adult lifetime. This is - the rate of religious conversion here is much, much higher than it is anywhere in Europe, for example. I don't deny that religion is very healthful to a lot of people. 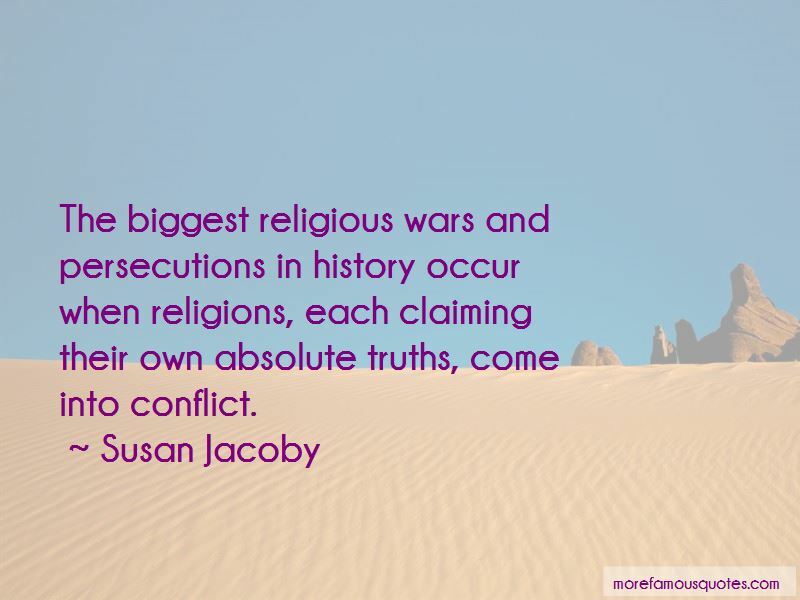 And as long as they don't try to convert me, I have, you know, nothing - and to interfere with the rights of people to believe other religions or to not believe in any religion at all - as long as they mind their own religion - perfectly all right with me. A person can be religious and still respect secular values and not talk about Jesus all the time as though every American believed in Jesus. I no more believe in the God of the Jews than I believe in any God. I have received many touching letters and emails from people who live in the most religious parts of the country, in places like rural Texas, saying it is so good to see someone be able to say I am an atheist without shame. 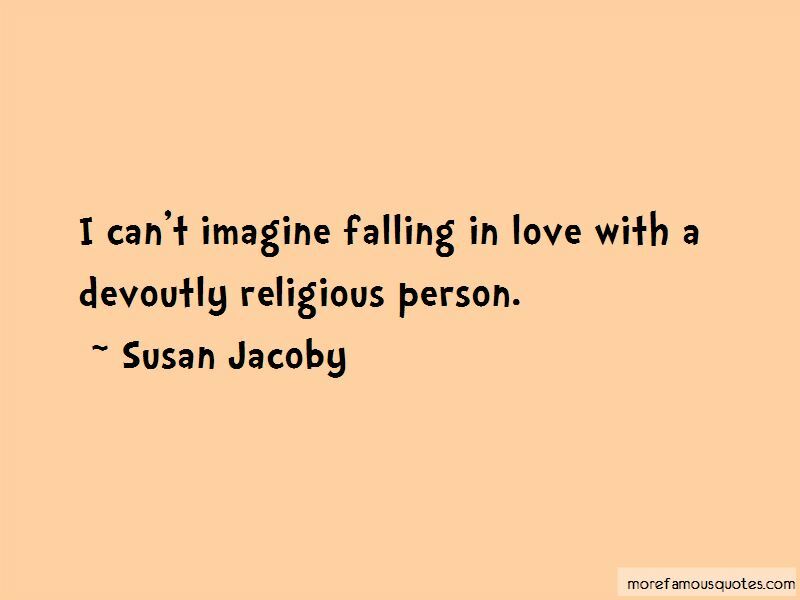 Want to see more pictures of Susan Jacoby quotes? 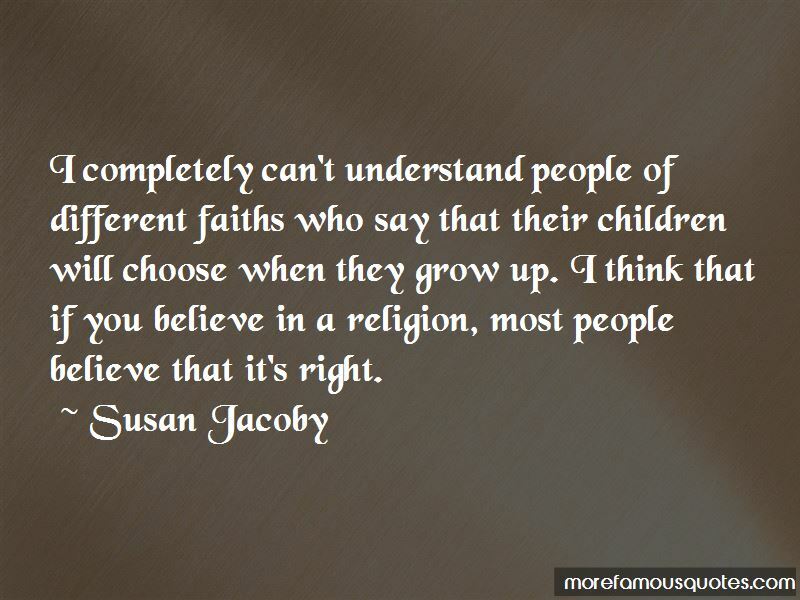 Click on image of Susan Jacoby quotes to view full size.